Come join a great community of horse people at Corinthian Equestrian Center, LLC where it’s all about the horses! CEC has stalls available in our beautiful facility on 40 acres in historic Warwick, New York. With an indoor arena, outdoor arenas, and acres upon acres of beautiful forest trails, you’ll have oodles of riding fun and friendship for you and your horse. Our horse resident’s happiness and health are our priority with twice daily grain feeding with premium hay, and daily stall cleaning, fresh water, and plenty of exercise with individual or group turnout. In addition to working on the flat and jumping areas, CEC offers opportunities in Fox Hunting with Windy Hollow Hunt and horse showing as part of the Hudson Valley Horse Show series. Amenities for riders include an air-conditioned and heated viewing room with bistro seating, free Wi-Fi, and two and a half baths, in case you need to clean up after having a muddy ride! More information about boarding can be found here or call, Lee Dillon, owner at (973) 617-7744. Check out CEC’s website for more information about all the services offered at the stable. 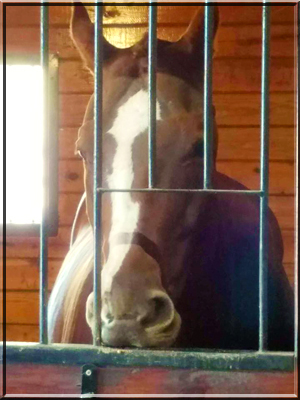 Corinthian Equestrian Center has stall openings in the Main Barn and the Hunt Barn. Boarding in the Main Barn on Foley Road is $900/month and the Hunt Barn is $750/month for full board. Full board includes feeding of grain twice a day along with premium hay, as well as round bales for group turnouts. Turnout is also available for individuals or pairs for 9 to 12 hours daily. Boarding also includes daily stall cleaning, blanket changes, fully matted stalls, and hot/cold wash racks. CEC is also offering for lease our Little Red Barn self-care facility on Jessup Road. The Little Red Barn built in 2015 is perfect for the trail riding enthusiast with hundreds of acres of trails to ride straight out of the barn! Also available is unlimited access to trailer your horse(s) up the road to use the Center’s facilities. Lease the full barn, which includes four stalls and a tack room is $1,200/month. If you would like to board at the LRB individually with your horse each stall is $300/month. For more information contact Lee Dillon at (973) 617-7744. CEC has three stall openings at the Little Red Barn on Jessup Road, just two miles from Corinthian Equestrian Center’s main facility. The Little Red Barn facility is perfect for the avid trail rider with hundreds of acres of trails to explore straight out of the barn. Rough board at the facility is splendid for equine retirees to enjoy pasture grazing with premium hay bales during summer and round bales during the winter months. The Little Red Barn is offered at $550 per stall per month for full care. Full care board includes feeding of grain twice a day along with premium hay, daily stall cleaning, blanket changes, and fully matted stalls. 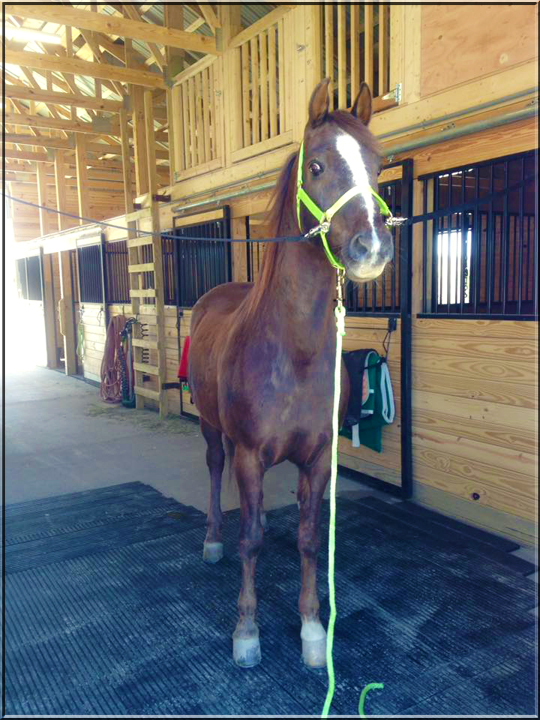 Additionally, CEC offers the opportunity to have your horse(s) trailered to the main facility for a small fee or boarders are welcome to trailer their horses to CEC to use the indoor arena and facilities during open hours. Rough Board is available at $350 per month. The Little Red Barn is located at 150 Jessup Road in Warwick, New York. For more information call (973) 617-7744. Boarding Opportunity at the CEC! Opportunities to board your horse(s) at Corinthian Equestrian Center, LLC has just become available. There are two stalls in the Main Barn and one stall in the Hunt Barn available for boarding come May 1st. Main Barn stalls are $900/month and stalls in the Hunt Barn are $750/month. Full monthly board includes feeding of grain twice a day along with premium hay, as well as round bales for group turnouts. Turnout is available for individuals or pairs for 9 to 12 hours daily. Services for boarders also include daily stall cleaning, blanket changes, fully matted stalls, and hot/cold wash racks. The CEC Facilities encompass both indoor and outdoor arenas, as well as an extensive trail system throughout the property. To see images of the facilities check out the Gallery Page. 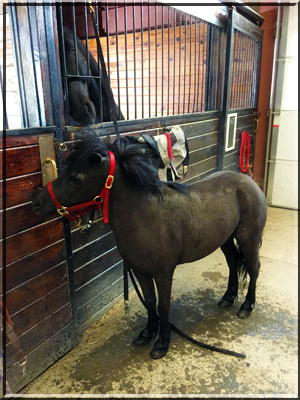 Additional fee-based services include call ahead CEC staff grooming and tacking, mane pulling and hunter braids, bathing, and clipping. Grooming is available upon request and availability of staff. Other services, such as riding lessons and horse training are also available. For more information or a tour, please call Lee Dillon at (973) 617-7744. Summer is upon us and Corinthian Equestrian Center has weeklong half-day and full-day camp scheduled for children 5 to 15 years from June to August. There are spots still available for parents to sign-up your child for a week of fun in the sun with horses! For more information about summer camp at CEC, please head over to our camp page here! My name is Diane Mansour and I’m very happy to be working with my students at the lovingly renovated Corinthian Equestrian Center. As a trainer, I see my role in helping the dressage horse and rider gain their fullest potential as artists and athletes. Experience of more than fifty years, first as a young hunter/jumper, then as a dressage rider, breeder, and facility manager, convinces me that this happens through kindness, insight, and persistent work. With patient and informed guidance, I work with riders of all ages and at all levels through Prix St. George to engage successfully and joyfully in the discipline of classical dressage. If you’re interested in taking dressage lessons at CEC, contact Diane at (845) 986-5762. For more information about riding lessons in another discipline contact Lee Dillon at (973) 617-7744 or through the Contact Form. Spring and Summer Season at CEC! Spring is upon us at Corinthian Equestrian Center! We’re planning a full Season of Lessons, Camp and Horse Shows! First up – Garden State Horse Show! Come learn and Show with us and please feel free to visit us at our beautiful Facility in Warwick, NY. Corinthian features a large Indoor Ring connected to many Stalls, 2 outdoor Rings and acres of turn out. Lessons and Training by Ken Okken and Lee Dillon. Ken is a USEF “R” Hunter, Equitation and Jumper Judge, “R” Steward and Course Designer. Come learn from the “Judges Eye”. Accepting Boarders and Sales Horses, we look forward to being of service to you and your horse! All about the Garden State Horse Show. For more information about CEC’s Summer Camp head over here! Corinthian Equestrian Center CEC, LLC offers to host birthday parties for your child and their friends. Spend two hours of fun at the stable riding, opening presents, and eating cake! CEC’s birthday party program offers your child and their guests an hour of horse and pony riding, including grooming with the second-hour allocated to opening presents, eating cake, and playing games planned by parents in the lounge, stable, or outdoors. You have the option of decorating CEC’s indoor and outdoor facilities to personalize them for your child’s party. One to four horses and ponies can be requested for your party. There is plenty for your child to learn during Corinthian Equestrian Center’s Summer Camp. A full week of fun, sun and fresh air! Let your child get down and dirty at the stable for a busy week of half-day summer camp for ages 5-8 or full-day summer camp for ages 9 to 15 years. Children are separated during camp by age and experience. On Friday’s the last day of camp, campers will show off their new skills by participating in a Horse Show! Parents are welcome to attend. Pizza Party on Fridays, the last day of camp! Full-day summer camp from 9:00 am to 4:00 pm includes morning and afternoon sessions on horsemanship with riding lessons, an hour of crafts, and an hour of swimming for your child to cool off from the summer heat. Children should bring a packed lunch and a snack each day. Half-day summer camp from 9:00 am to 12:00 pm or 1:00 pm to 4:00 pm includes sessions on horsemanship with riding lessons and alternating days of hour-long crafts and swimming. Children should bring a snack each day. Horsemanship teaching covers general horse care and anatomy, nutrition and how to spot sickness in a horse, grooming, care of tack, and discussions about the various breeds of horses and riding disciplines. Call the Lee at CEC to book now at (973) 617-7744! Corinthian Equestrian Center is pleased to offer our Winter Boarding Special in the Main Barn for $650 per month until the end of March. To take advantage of this low rate sign-up by February 1st!